Sweet Basil herb is a half-hardy annual emanating from warm climates and is therefore a sun-lover. With care and adequate heat, a plant will stay in leaf-indoors right through to mid-winter a luxury for those who love to use their herbs fresh. You can freeze basil, or preserve it in the Italian way, the leaves packed into jars with rock salt and olive oil. Basil traveled overland to Europe via the Middle East from India, where it is considered scared by the Hindus. A Belgian old wives tale of the 16th century told that basil leaves crushed between two bricks would turn into scorpions, while Boccaccio has his heroine Lisabetta burying her lover's head in pot of basil and watering it with the tears. 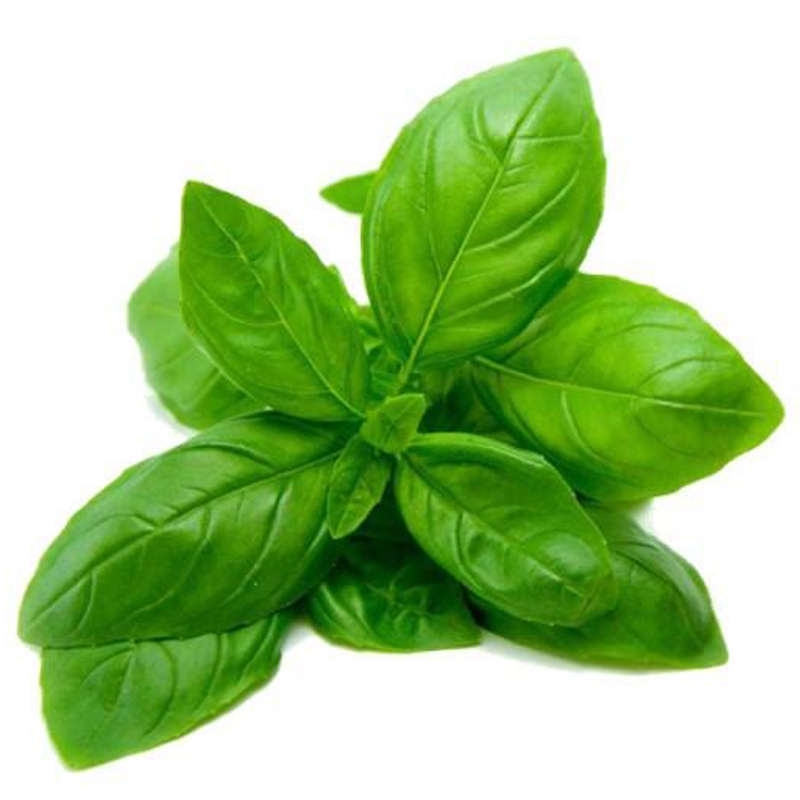 According to type, a basil plant can have either a multitude of minute leaves or ones up to 10 cm long and almost half as wide, glossy, smooth, silky, and highly aromatic- they smell something like cloves. The stems tend to be woody and straggly, and the flower in long spikes, are small, white and tubular. They appear from mid-summer through to the autumn. The plant can reach a height of 60 cm. Aromatic-herbal, fresh, minty, herbaceous odour. Pale yellow to amber yellow colored liquid.